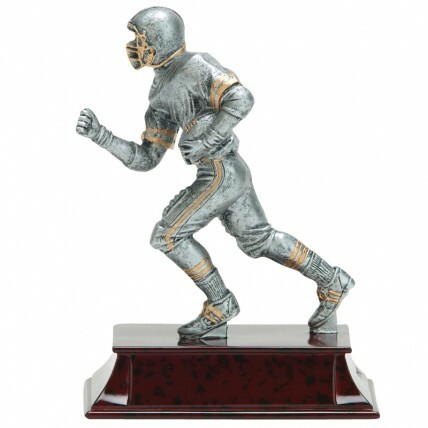 Immortalize your football seasons with these Resin Fantasy Football Trophies! Crafted of resin, these trophies feature a male runningback player on a mahogany colored base. Price includes 3 lines of engraving.